How Can You Learn to Think Like a Freak? For more on Stephen Dubner, read our chapter on him “How to Write a Runaway Bestseller,” in our book. The phenomenally successful Freakonomics platform–two bestselling books, a blog, a number one podcast, a radio show, and a consulting business–was built on the principle of looking at the world through the filter of economic theory. Authors Steven Levitt, a behavioral economist, and Stephen Dubner, a journalist, believe that an “economic approach” to thinking shouldn’t just apply to economics, but to problem solving in general. 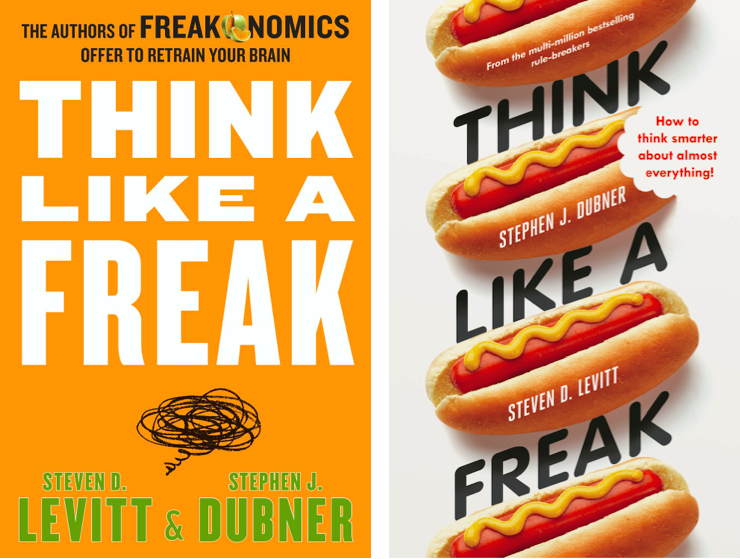 In their new book, Think Like a Freak, the authors show us that by applying these theories, we can all think a bit more productively, more creatively, more rationally.